My first driving lesson wasn’t a success. I was keen to learn to drive as soon as I was old enough, as were all of my friends in the rural area where I grew up. We were fed up with walking and cycling everywhere, and we wanted access to Saturday jobs and the freedom to go where we wanted, when we wanted. As soon as I was 17, I badgered and badgered my parents to teach me to drive. But, (possibly because our family vehicles at the time were a pair of VW camper vans, one of which was left-hand drive), neither of them was at all enthusiastic about teaching me, and they kept putting me off. I had absolutely no idea how to drive. I didn’t even know how to start the engine. Dad must have explained something to me because, somehow, I drove down our drive and along the road, while he got crosser and crosser and I got more and more stressed. A short way along our road we met a car coming towards us and Dad grabbed the steering wheel and steered the van along the grass verge. I can’t remember what happened after that, but I don’t think that it was a long lesson. Thankfully, I did go on to have lessons with a driving instructor. It took me four attempts and several years (I stopped trying while I was at University), but I eventually passed my driving test the summer that I graduated. I didn’t own a car, but being able to drive felt like the world had opened up to me. 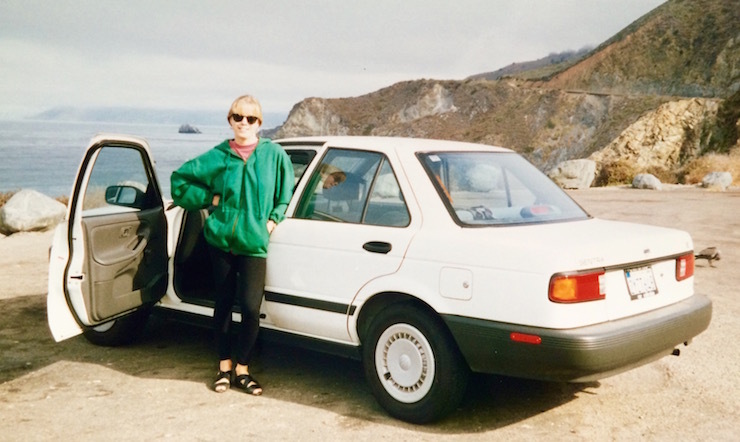 I’m not sure that driving the Pacific Coast Highway as a newly qualified driver was entirely sensible, but it seemed like a brilliant idea to my friend and I at the time, and we had a fantastic trip. 5% of the drivers said that they almost had an accident while learning to drive with a parent. As soon as she was 17, my daughter was as keen to learn to drive as I was at her age. She had a couple of lessons before she was 17: one with Young Driver and the other at the Goodwood Under-17s Driving Academy. Once she was old enough, she had lessons out on the roads with a professional instructor. When he said that she was ready, we insured her to drive our Fiat Panda, so that she could practice with us. I went out with her to help her to practice, and I’m pleased to say that I never felt the need to grab the steering wheel. Based on my own experience of learning to drive, and of helping my daughter as she learnt to drive, I think that the best way to support your child as they learn to drive is to be supportive and encouraging and to stay calm. Did you learn to drive with an instructor or with a family member? Have you taught your child to drive? What are your tips on supporting kids when they learn to drive? It really helped when you said that we can actually choose an instructor that we would be comfortable with instead of letting them assign a random one. I think that is important to really learn well. I will keep this in mind when I look for a driving school for my son since he is old enough to drive for us. We also plan to surprise him with a used car for his birthday, so he should really learn how to drive fast. Thanks! My little sister just turned fifteen, and she wants to start learning how to drive soon. So, I liked that you pointed out that about 15 percent of people who are taught to drive by a parent find the experience scary. My parents have some bad driving habits, one of which is road rage. It might be better for her to learn how to drive from a professional instructor. 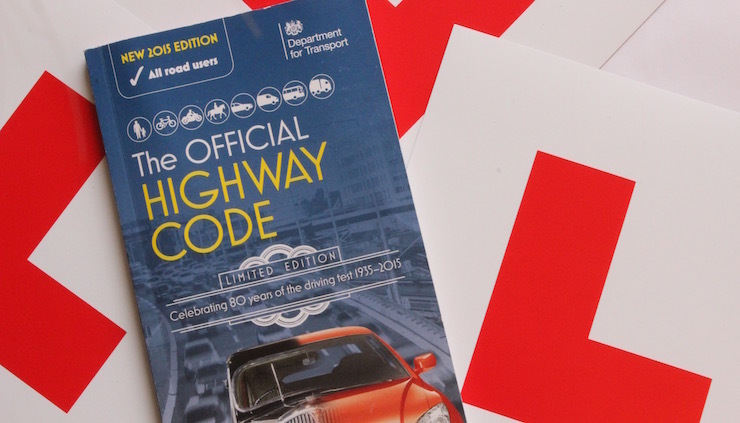 Invest in a highway code manual and study it as often as you can. This will help you with your theory test and practical driving. I had a similar experience with my dad who took me out after my first couple of lessons: I was fine driving along a very quiet road which but as soon as another car appeared Dad yelled at me which made me panic and drive off the road into a ditch! He never took me out again (possibly his nerves were already shredded by years of driving practice with my 2 elder sisters). Mum would simply clutch the door handle and wince and occasionally shriek “MY INSURANCE!” Again, not very encouraging! P.s. You were a fab driver in California, especially in the one way systems in San Fran! That all sounds very stressful! Not sure about those one way systems, they were very tricky – I’d probably never driven on one before! I can’t believe that your family said that to you, you poor thing!